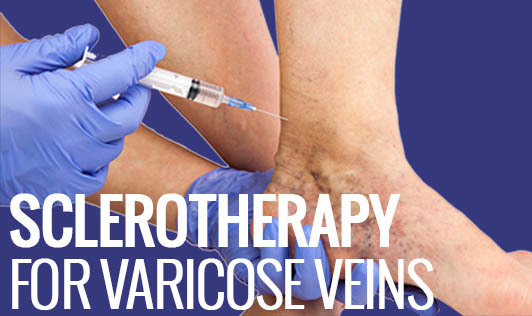 Sclerotherapy is a medical procedure used to eliminate varicose veins. It involves injecting salt solution directly into the vein. This salt solution irritates the lining of the blood vessel and causes it to swell, stick together and clot. Over time, the vein turns into a scar tissue and fades from view. Is sclerotherapy safe for everyone? • Lumpy hard veins that take several months to dissolve and fade. • Brown lines may appear at the vein site that last indefinitely. • Neovascularization (Development of new tiny blood vessels at the site of sclerotherapy). The amount of pain an individual feels will vary, depending on the person's tolerance of pain, which part of the body is being treated, whether complications arise etc. It will also depend on the size of the needle and which solution is injected.